According to Allure, HydraFacial is now one of the most requested facial treatments in the world and it represents the latest non-laser skin resurfacing esthetics option available in Miami Beach. It has consistently outperformed IPL as a facial rejuvenation option. And McAllister Spa is one of the exclusive few establishments to offer this type of facial using the newest technology introduced in 2018. It is the only skin health treatment that uses a “hydradermabrasion” methodology to concurrently cleanse and hydrate, leaving your skin clear, healthy and actually glowing without any discomfort or downtime. The HydraFacial tackles many common skin imperfections in just 45 minutes. Concerned about fine lines and wrinkles? Struggling with enlarged pores, oily skin and acne breakouts? Concealing hyperpigmentation and other advanced signs of photo-aging? HydaFacial can absolutely ameliorate this skin health issues while lending to an obvious improvement in skin texture, firmness, and vibrancy. Microdermabrasion is a familiar skincare treatment to most skin care aficionados. The procedure has been around for decades and generally involves the use of tiny silica crystals or diamond-tipped implements to remove dead, superficial layers of dead skin cells. Familiar masques, salves and skincare treatments can then be more easily absorbed by the delicate skin surfaces on your face. A HydraFacial is a quantum leap forward from this classic treatment. Rather than the former harsh methods, this type of facial is rooted in the principle of hydration to both cleanse and restore the skin to its very best. This process begins with the use of a specialized implement to clean and gently exfoliate, aiding in the removal of dead skin cells and sebaceous oils. Next, salicylic and glycolic acids are infused into the skin to loosen dirt from clogged pores and reduce the frequency and intensity of acne flare-ups. This dirt, dead skin and debris is then gently suctioned out of pores and off of the skin’s surface. Bye bye blackheads! The last step is where the magic really happens. A solution filled with restorative skin peptides, antioxidants and hyaluronic acid is infused back into the skin, resulting in a radiant and rejuvenated complexion. Everyone wants to have healthier, more beautiful skin and in most cases a HydraFacial supports that personal #skincaregoal. All skin types can benefit from the cleansing capabilities and healing hydration provided by a this treatment type. In certain cases, a basic HydraFacial can be customized. Special booster serums and incorporated LED light therapy can most directly improve particular concerns. The best way to determine how this innovative treatment fits into your skin care regimen is to schedule a consultation with one of McAllister’s medical aestheticians. 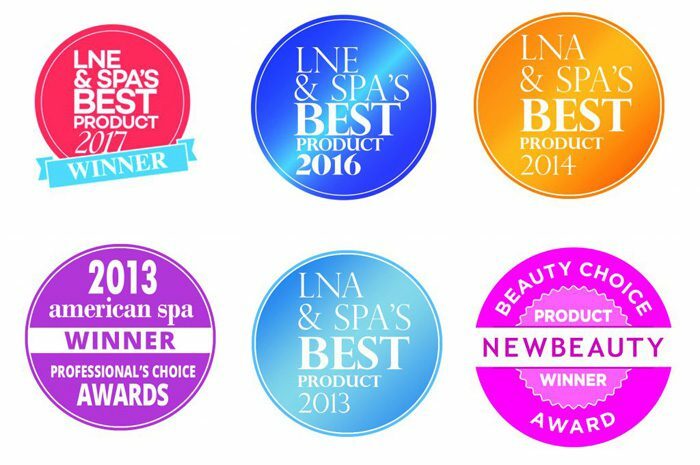 These dedicated, highly-trained professionals will guide toward the decisions best for your particular skin health. We offer a wide variety of Hydrafacials uniquely suited to your skin type and condition. Here is our menu of individual treatments. This facial is where it all began and made the brand the most sought-after facial ever. It deeply cleanses, extracts and hydrates the skin utilizing HF’s super serums filled with antioxidants, peptides and hyaluronic acids. This protocol is perfect for oily and congested skin, and includes extended extractions and the use of Blue LED light therapy. This option takes the signature facial up a notch with the addition of the Dermabuilder booster, which reduces the appearance of fine lines and wrinkles. This skin regimen includes the use of the Britenol boost to minimize the appearance of dark spots and aids in the treatment of hyperpigmentation. Because of our incredible partnership with SkinCeuticals, we are the exclusive location on Miami Beach to offer a HydraFacial powered by the this Vitamin C-infused skincare line so commonly recommended by Miami’s best dermatologists and plastic surgeons. This skin protocol includes the use of CTGF – the proprietary growth factor treatment solution – resulting in immediate improvements in the appearance of skin tone, texture and elasticity. This option is the ultimate experience. The regimen begins with a lymphatic detoxification process and continues with a deluxe hydrafacial that deeply cleanses, extracts blackheads and hydrates the skin while addressing specific skin concerns with a specialty boost chosen by your skin therapist. This treatment concludes with LED light therapy. How Often Should I Book a HydraFacial? The march of time never stops and the aging process is relentless! So as with any facial treatment or skincare regimen, results are most obvious over time when regularly scheduled. McAllister’s medical team has found that the most profound improvements are experienced and maintained in many cases when you book a monthly treatment as part of your skincare routine. And as always, we offer the complete ranges of products offered by our education partners, SkinCeuticals & Dermalogica and would be happy to recommend the products that are ideal for your skin type and condition.